Sculptra is an injectable, permanent filler that is comprised of a synthetic material, which is injected into deep-set wrinkles on the face. It allows patients to build collagen in the treated areas of the face. The material in Sculptra injections works to increase the thickness and volume of the skin and can be dissolved by the body. The injection procedure is completed in a doctor's office and typically requires three to six treatments. Each treatment usually takes around 15-30 minutes but allows patients to return home or to work almost immediately after the treatment. Most normal activities can be resumed as well. What Areas of the Body Does Sculptra Treat? 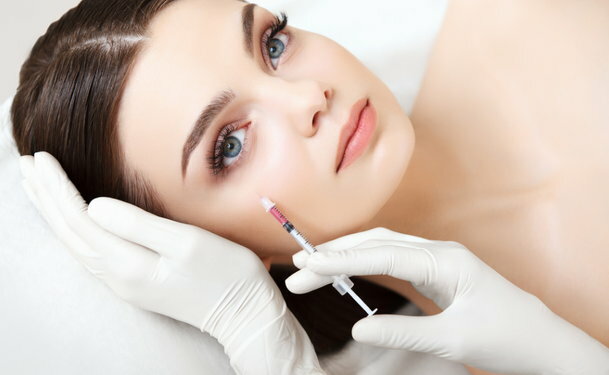 What are commonly known as smile lines are actually called nasolabial folds and are a popular injection site for Sculptra. Sculptra can be used to enhance the fullness of sunken cheeks and other lines or facial creases. This is particularly useful after a large amount of weight has been lost and the skin has lost some of its elasticity. Sculptra can be injected under the eyes and around the temple areas as well. It is gaining popularity as more and more people seek to improve the appearance of their face. 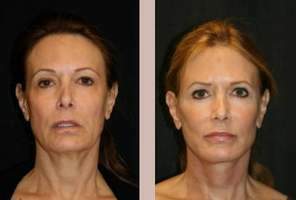 What are the Advantages of Sculptra Over Other Similar Treatments? Sculptra is less painful than other treatments, such as fat grafting, and often involves less swelling and bruising. Sculptra is typically less expensive and the results are longer lasting, therefore saving you additional money. The best candidates for Sculptra include people ages 35 to 60 with no allergies to the ingredients found in Sculptra. It is not recommended for those with a history of keloid formations or hypertrophic scarring and should never be done on areas of skin that are actively infected or inflamed. First, a topical anesthetic is applied to the area to be treated. The needle is then inserted to inject the filling material. There may be mild discomfort with the injection of the needle but there is typically no pain involved. The doctor may select several injection sites that cover each treated area. The injected material goes just under the skin to increase fullness. Though pain is uncommon, there may be slight swelling so ice packs and light facial massage are often recommended. Patients are also advised to avoid exposure to the sun. Patients can usually return to their normal activities immediately after the injection procedure. The effects of Sculptra are temporary but last up to two years. Most patients notice an 80 percent improvement in the treated area. As the next few weeks following the treatment pass, patients will notice greater results. Touchup treatments are recommended to be continued every few months for the best results. As with any cosmetic procedure, there are risks involved, but these are minimized with a qualified doctor. Mild pain or discomfort and tenderness may occur but are temporary and will quickly disappear. Bruising and swelling are also possible side effects. It is best to consult a doctor if any abnormal side effects are noticed or if the aforementioned side effects do not disappear quickly. Is Sculptra approved for use in the U.S.? Sculptra has been available in Europe and is now approved by the FDA for use in the U.S.
Is Sculptra covered by insurance companies? Since each insurance company has different policies and requirement for covering various procedures, it is best to check with the individual company as to their requirements. The rules usually vary according to the reason for the treatment and the insurance company's past experience and knowledge of such treatments.